Elliot doesn't normally show much interest in clothes, he wears what I pick out and we never get any complaints. But yesterday we were out shopping in Southampton and I popped into H&M, he spotted a t-shirt and that was it, we hd to buy it! He was so excited and wouldn't put it down - and he got even more excited when I let him wear it this morning!! As you can see, it's a pretty cool Jungle Book t-shirt, I've not spotted one like this before! 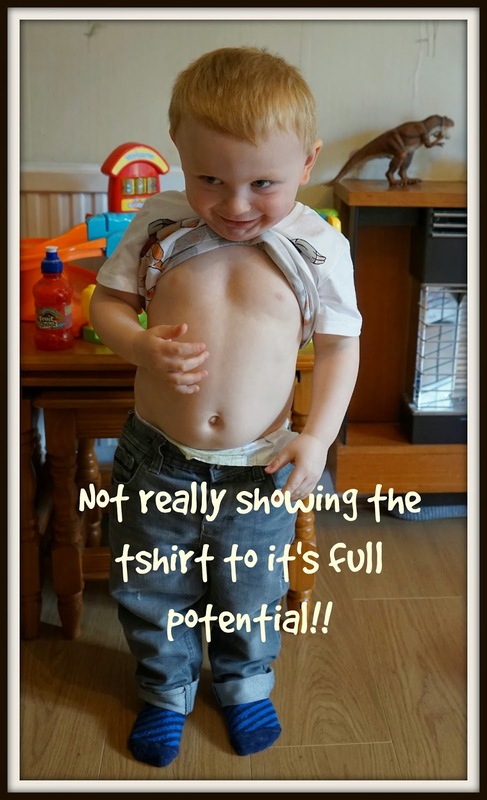 It's nice because the image goes all the way round the tshirt onto the back and Elliot has spent lots of time this morning admiring his reflection in the mirror! The bodywarmer is getting a bit tight now but it's handy just to put on if we're popping out somewhere, and it looks really nice over a hoody. 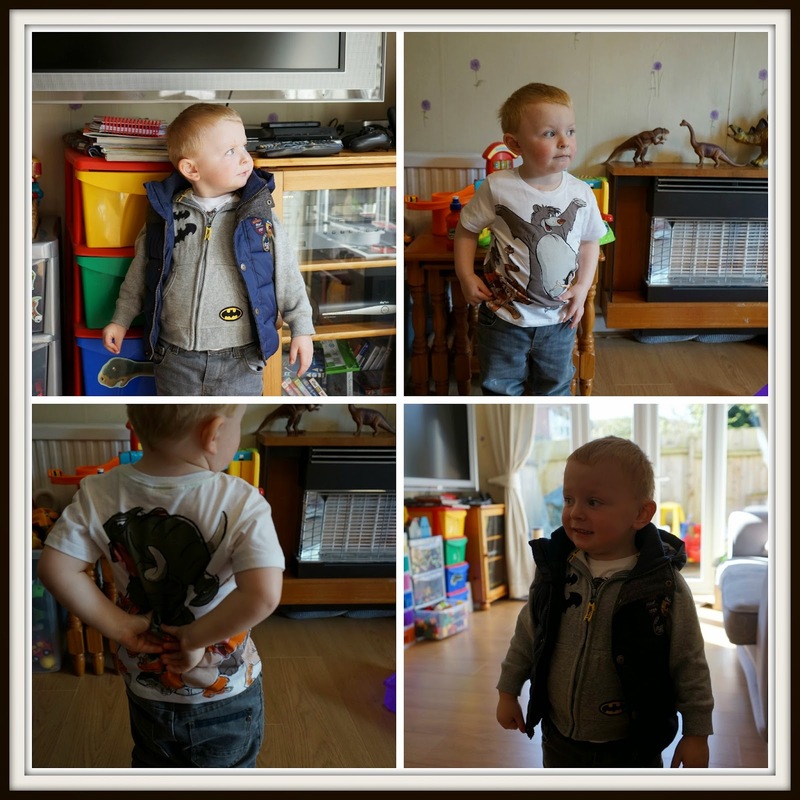 The sizing wasn't very accurate though - I had to get Elliot 3-4 and I do find the sizes in Primark to be a bit dodgy. He's clearly loving that T - I love the Jungle Book so I wouldn't mind one of those too. Jungle book tshirt is mega cute, he looks thrilled with it! OMG, Jungle Book is N's favourite film, and he loves Bear Necessities song. I have to get to H&M to buy this! I don't really do characters, but I'd have to let him have this. Brilliance in Blogging Awards - Nomination Time! Drone Testing and Seashell Collecting!